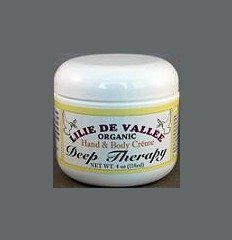 Deep Therapy Hand Crme - OrganicOrganic Deep Therapy Hand Crme: This is a wonderful deep-therapy moisture crme for Face, Neck, rough damaged hands. Also great for use on knees, elbows, heels, Stretch marks or anywhere needing special treatment. Patchouli Liquid Soap 8 oz.